You are here: Home / Items / Building & Architecture / Hire It! Hire It! 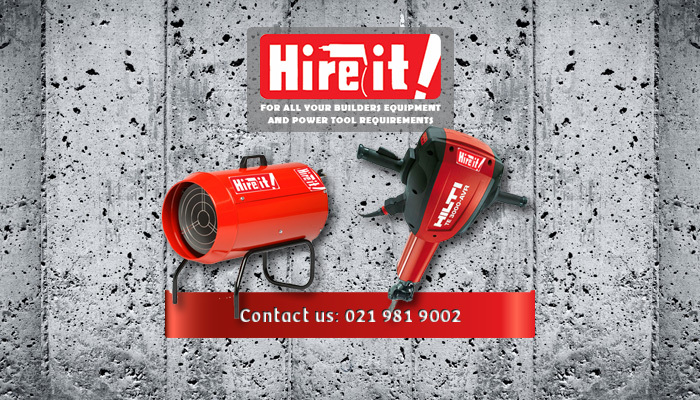 was established in 1982 and has grown into a leading hiring service of power tools and equipment to residents and building contractors in the Cape Peninsula. This year we are celebrating 35 years! The company has 200 trained staff members, who knows everything there is to know about the equipment and its functions. 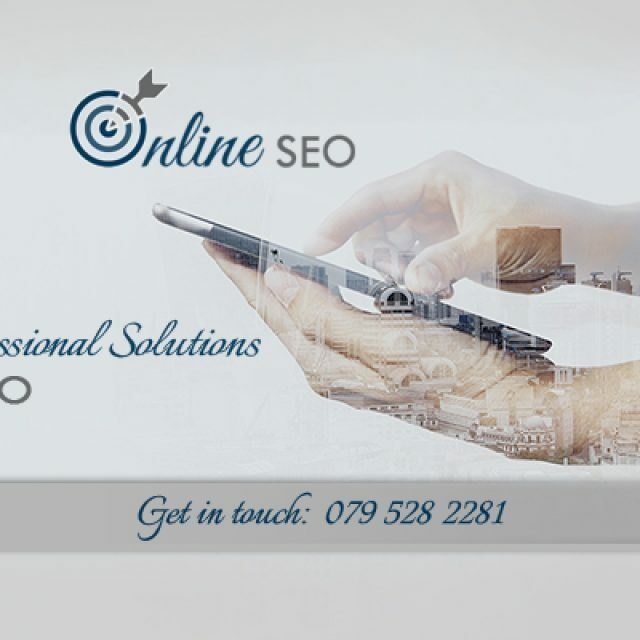 Our staff will be happy to assist with all enquiries. There are many benefits to hiring equipment rather than purchasing your own. 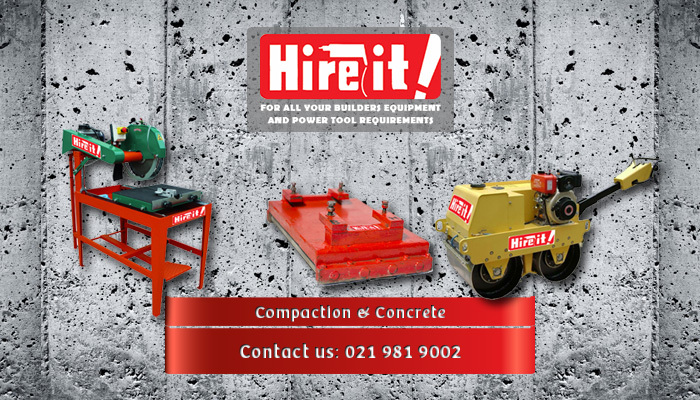 For one, it is a lot more affordable and you can hire the equipment for as long as you need. 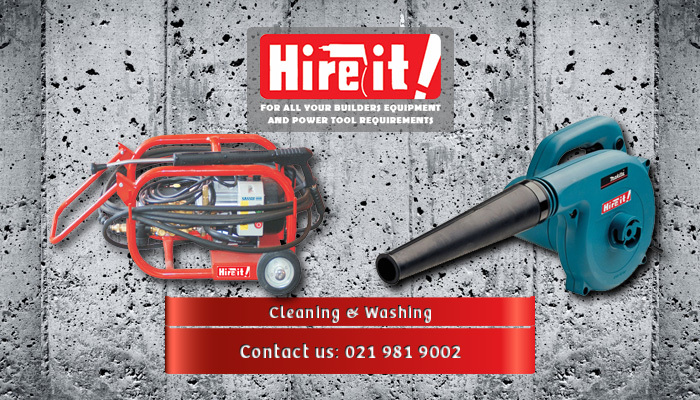 We can also assist in giving advice on what equipment or tool you will need to get the job done. You will not have to spend any of your own money on repairing equipment since it is our responsibility to keep our equipment functioning. 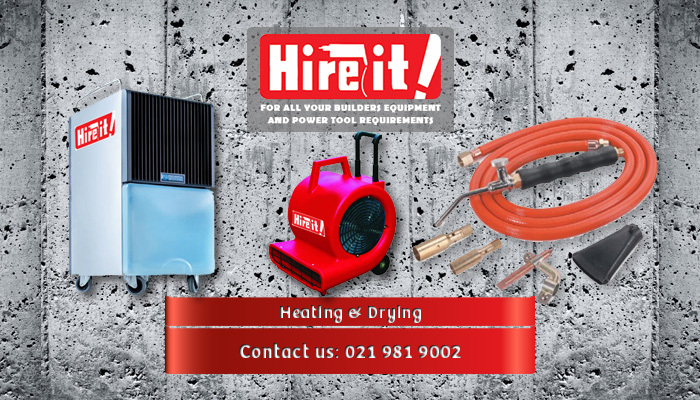 Hiring with Hire It! 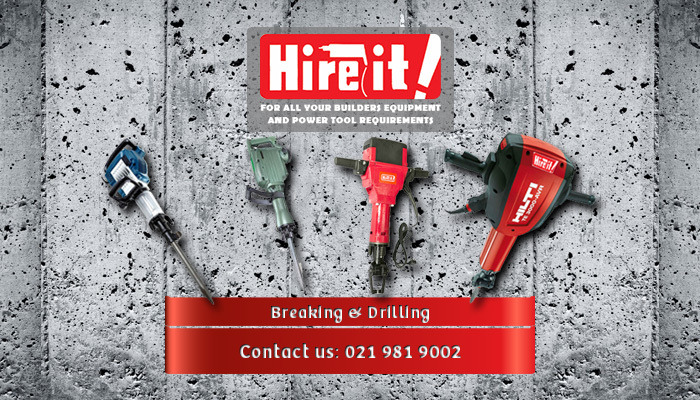 in Brackenfell is easy, you just need a valid ID document, and we will deliver your chosen tool right at your doorstep. 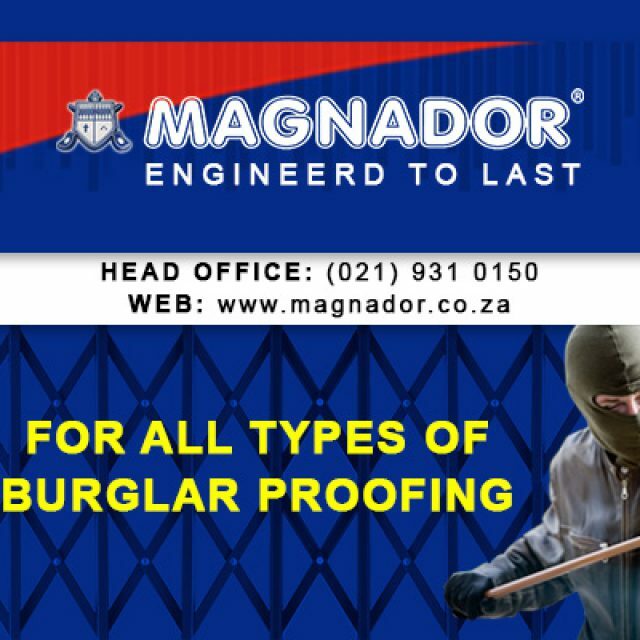 We have the tools and equipment that you might need for almost all occasions. For more information, please visit our website. 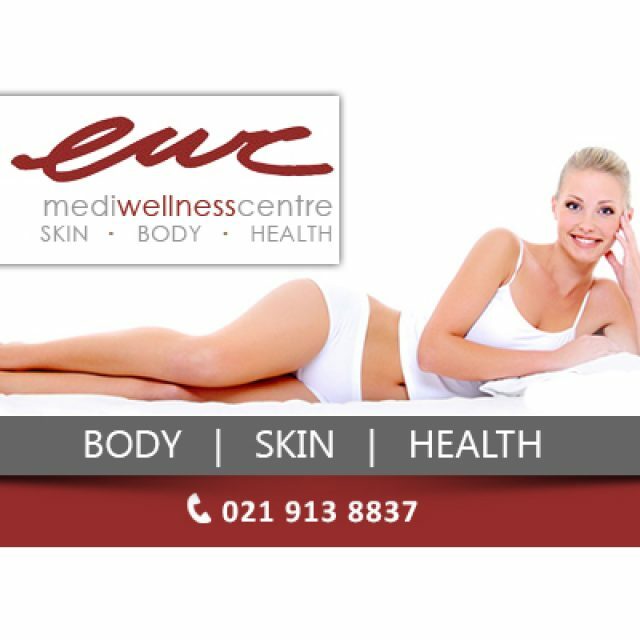 At the EWC Mediwellness Centre, clients can expect treatments that cover their health, body, and skin. 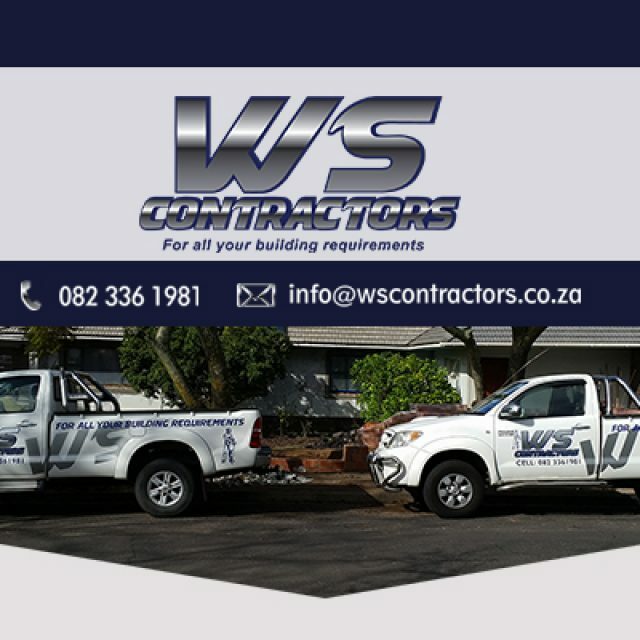 It is our aim to assist clients with a project from start-to-end.